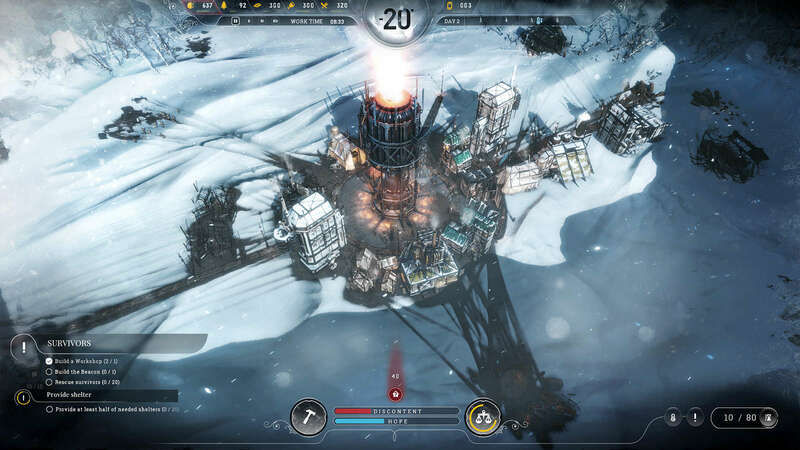 Frostpunk is a survival city builder with an element of society simulation and is in development by 11 Bit Studios, the creators of This War of Mine. The proposed date for release is sometime in the second half of 2017 and with a larger team working on Frostpunk there is an air of anticipation surrounding the launch. Read on to find out what we know so far. Winter is coming, and like the sprinkling of snow that normally heralds its start, details are a little thin on the ground. 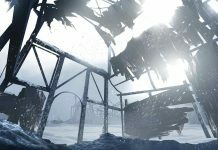 Screenshots can be seen on Frostpunks homepage as well as the latest trailer seen at E3 but little actual gameplay footage is available at the time of writing this article. The images show a bleak outlook where mankind has experienced an apocalyptic event that has plunged Earth into another ice age. As the leader of the last remaining city on Earth you are tasked with growing the small colony that nestles around the central steam engine into thriving capital and beacon of hope for the future. 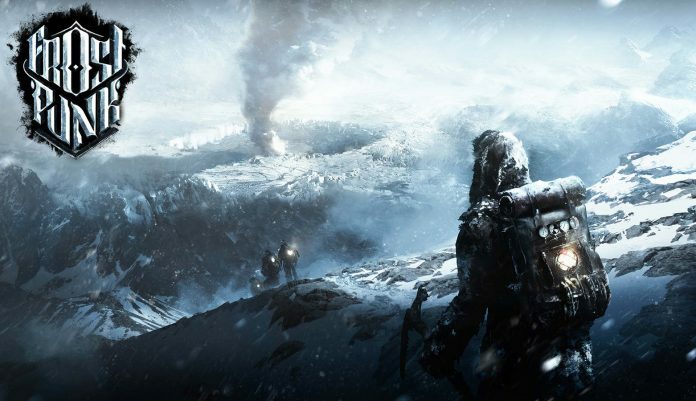 The strap line “What people are capable of when pushed to the limits” and a statement from Karol Zajackowski, marketing manager, saying this game will “tear your heart out” tell us that 11 Bit Studios is hoping to put us through an emotional wringer with Frostpunk. 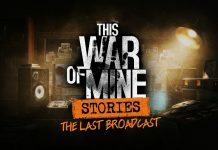 Challenging morale decisions a la This War of Mine will need to be made but at a scale larger than just protecting the lives of a few people. 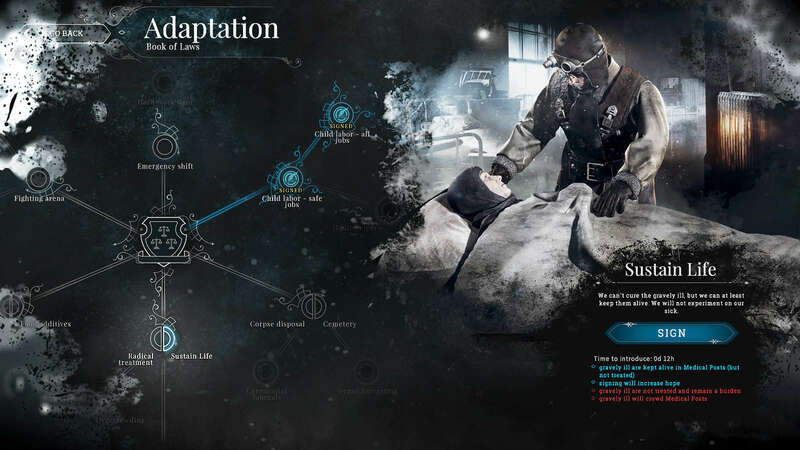 It appears that Frostpunk will be asking if you can save the very essence of humanity as well! Life revolves around the huge steam generator. In order to succeed you must of course find and manage the materials needed to create housing, medical support and places to distribute food etc. Initially your followers won’t have to wonder too far to find what they need but before too long these trips will take longer and become more dangerous. 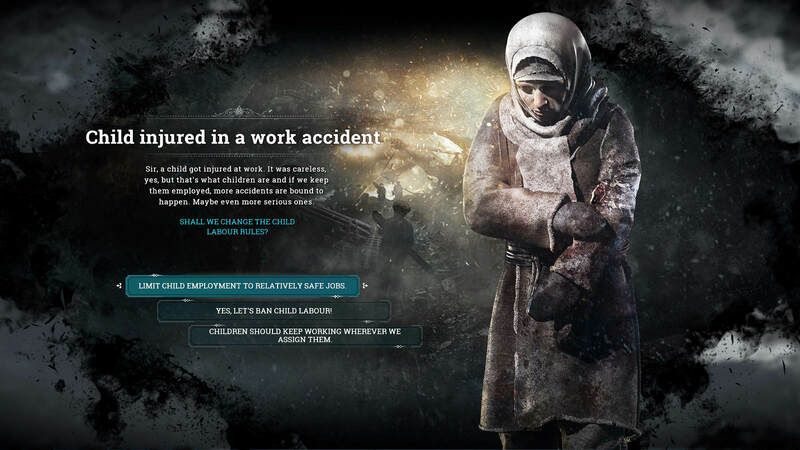 This seems to be the pivot upon which Frostpunk asks you to balance, managing the two main gauges Hope and Discontent. Meeting the often short term needs of the people versus the long term vision of the colonies future. One great example of how this might play out is seen below. When there are so few people left alive to rebuild it doesn’t seem unacceptable that the younger generation is asked to help does it? But when injuries pile up and parents worry about their children’s future do you keep pressing them into hard labour in order to complete the next important piece of infrastructure on time or do you relax the laws? When times are tough you have to make tough decisions. Another example is what do you do when someone is no longer able to work due to a permanent injury, continuing to support and feed them seems the humane choice but you can barely feed the workforce as it is? There is one way to reduce the number of unhelpful mouths to feed and create more food to go round but lets not go there, even if Frostpunk might! Its not clear what will happen if the discontent level reaches maximum, mutiny perhaps or maybe you will fall foul to your own decisions about how to increase the food stores! Does higher hope enable your people to work faster, want to eat less or effect their desire to find love and bring a new child into this dystopian future? The images we have seen do a great job of portraying a bleak future and lend themselves perfectly to the feeling of a city cobbled together from the reminisce of times past nestled within a blast crater. Our all important steam generator that produces power and heat for the city is the centre piece from which new beginnings will rise like the spokes of a wheel. The atmosphere created looks to capture the fight between despair and hope beautifully with its blend of bare metallic structures, blanketed snow and bleak outlook pierced by the bright lights of hope from the generator and outlaying buildings. Create your own laws but be ready for the repercussions. 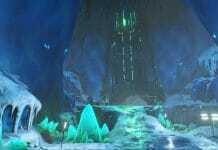 There will be a story element in as much as you will discover more about the cities history and the events that led up to its creation as you are forced to search further and further a way from home base. It also seems there will be dynamic events like blizzards and snow storms that will do their best to add to the misery and despair of your citizens. We are looking forward to learning more about what the future holds for Frostpunk and well keep you updated when we find out!